Gov. 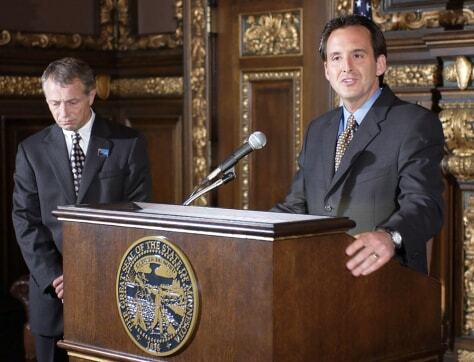 Tim Pawlenty, right, announces a partial Minnesota government shutdown at a news conference on Thursday. At left is House Speaker Steve Sviggum.